Many coffee makers produce great-tasting coffee but only a few do so conveniently and exactly to your desired specifications. The ability to tailor brewing to your needs separates luxury models from the rest. 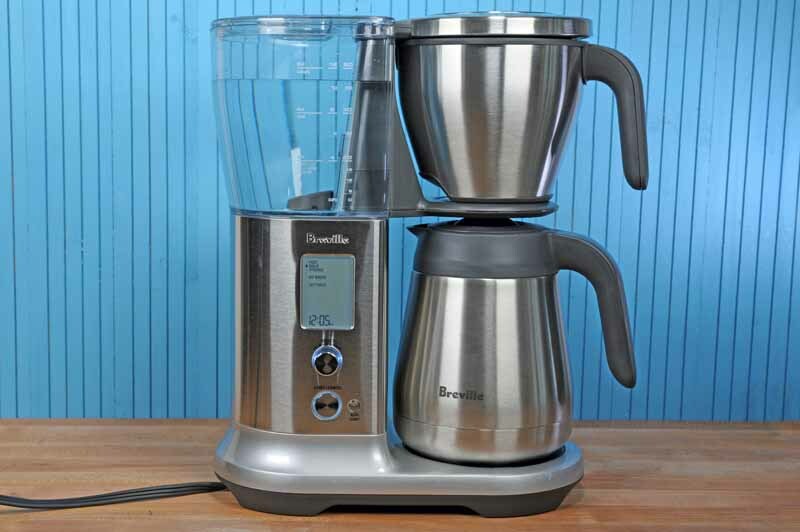 Coffee makers can be broken down into your ubiquitous automatic drip models, pour over drip devices, mokka pots, vacuum apparatuses, as well as French/coffee presses which are covered in a different section. You can get started reading all our great guides, tips, and reviews below. Almost everyone has an automatic drip pot at their house or dwelling and often times one at the office. They are often constructed of the cheapest materials. Most of their thermostats aren’t accurate. The don’t evenly disperse the water. And most importantly, most of them do not get hot enough to adequate brew coffee at the optimum temperature. However, there are a few top end devices that have corrected all of these deficiencies. SCAA Certified Brewers have met all of these stipulations. Some of these requirements include brewing time, ideal water temperature and the capability to brew within the SCAA Gold Cup recommendations. 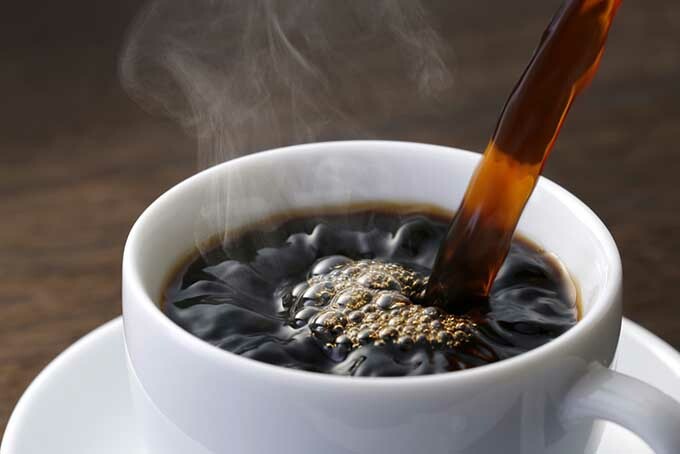 The ideal temperature for making coffee is 195-205 degrees Fahrenheit. Many drip machines are not capable of maintaining temperatures in this range throughout the brewing process. Those that are have a heater powerful enough (about 1,400 watts) to achieve the desired temperature. You might also consider a model with temperature control if you want to adjust brewing temperature within the ideal range. This gives you more precise control over the taste of your brew. Some of the best drip coffee makers also calibrate the brewing temperature according to the altitude at which they’re located. Water boils at a different temperature at sea level than it does at higher altitudes, so calibration ensures precise brewing if you reside well above sea level. To determine how to choose a automatic drip model, you should consider your coffee-drinking habits and then match specific features to them. Calculating how many cups you and members of your household drink daily is an important aspect of how to choose a specific model. 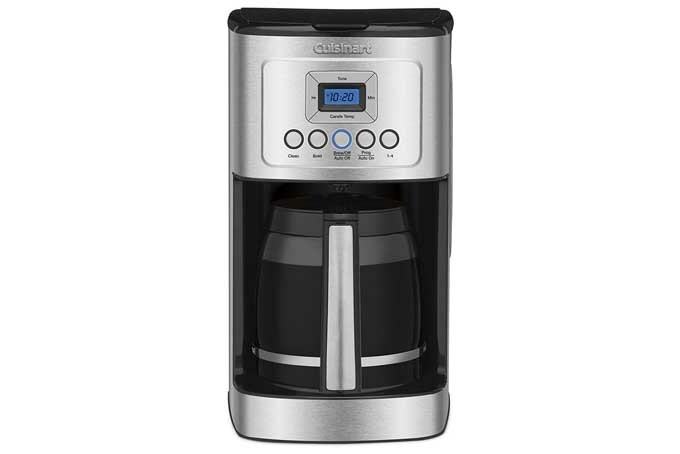 Automatic drip coffee makers offer different capacities, and you’ll want to choose a large capacity if you and others in the house drink a good deal on one sitting. While you might consider erring on the side of a larger capacity, you should remember that a bigger reservoir usually makes for a larger machine. If you need to tightly manage storage space in your kitchen and do not drink more than a couple cups in a day, choose a brew station with a smaller capacity. Considering the times of day when you consume your favorite caffeinated beverage is also relevant to your purchasing decision. If you have your first cup in the morning and your last one in the afternoon, you should buy a model with a thermal carafe. Most carafes are glass, which lets heat escape relatively quickly. This is perfectly fine if you drink your Joe in the morning but can quickly scorch any remaining liquids left in the pot and allows the volatile gases (which contain the good flavors) to escape and leaves nasty compounds that have sour and/or bitter tastes. The insulation in a thermal carafe, though, locks heat in to keep your coffee warm for two to four hours and keeps the flavor where it belongs – in the pot. If you want to know how to choose a coffee maker, pay special attention to the features on various models. The right features are the difference between ordinary models and those that make brewing and drinking your java juice easier and more enjoyable. Water-management features also separate the best examples from the rest of the pack. The three features to consider here are a filter, the dispersion method, and pre-soaking. Many luxury units have a charcoal filter that removes chlorine from water. The filter improves the taste of the water used in brewing, resulting in better-tasting coffee. Brewers with a water filter can also last longer because the removal of impurities from the water prevents the buildup of calcium in the plumbing. Some advanced brewers use a spray-head to evenly distribute water to the ground coffee beans. Whereas most common household example leave some areas of the grinds dry, models with a spray-head ensure all of the grinds receive the same amount of water to improve flavor extraction. Coffee grinds tend to swell during brewing, and swelling is usually greater the fresher the roast is. 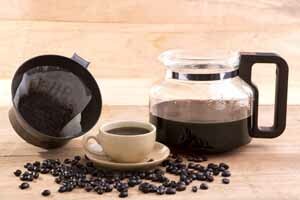 Many luxury coffee makers enable you to adjust the amount of time you pre-soak your ground coffee beans according to how much you expect the grinds to swell. If the beans are freshly roasted, you can pre-soak them for longer to avoid the grinds overflowing from their container. 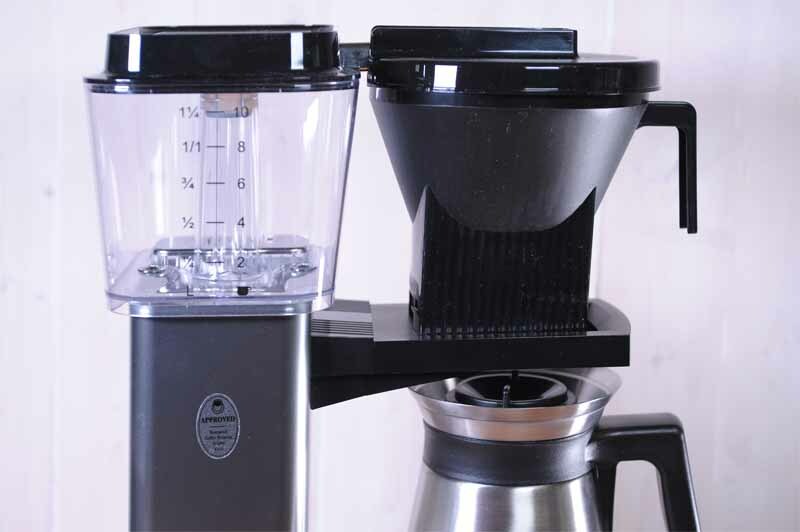 Some models have a built-in grinder, enabling you to grind your beans and brew your coffee in the same machine. This isn’t a critical feature since you can buy a separate grinder, but bean-to-cup machines make the whole process more efficient and convenient. Programmable settings can help you tailor your brew to your habits and even your personality. Consider which of the following settings would benefit you. 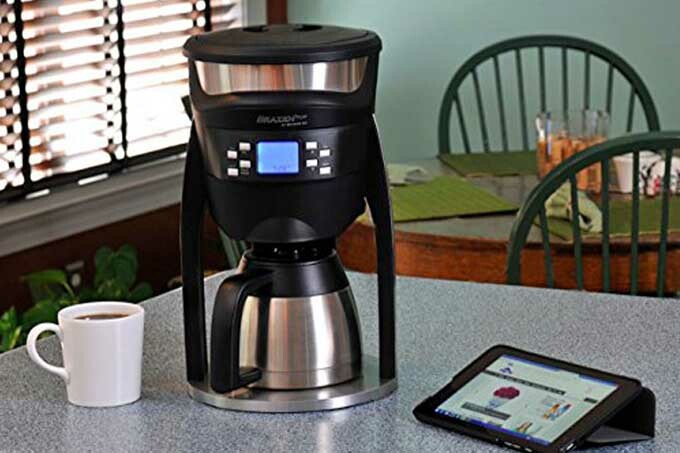 Automatic Start Enables you to set the time to start brewing your beverage. Useful if you are often too tired to initiate brewing when you wake up. Automatic Shutoff Turns off the heating element after a set period of time. Helps you save electricity in case you forget to turn off the machine. Small-Batch Brewing Adjusts water flow accordingly if you want to make fewer cups. Useful if you want to brew fewer cups than usual. Brew-Strength Regulation Enables you to adjust water flow according to desired strength. Useful if you feel like drinking a stronger or weaker beverage than usual. No two days are exactly alike, and models with programmable settings give you the flexibility to adjust your consumption when you need to. By identifying your habits and discovering features of luxury automatic drip coffee makers, you’ve learned how to choose a model with which you’ll be happy. You should now feel confident shopping for a machine that conveniently brews great-tasting java when you want it. Read all of our great reviews and guides below and be sure to check out Foodal’s Coffee Corner where all forms of this heavenly brew are discussed! 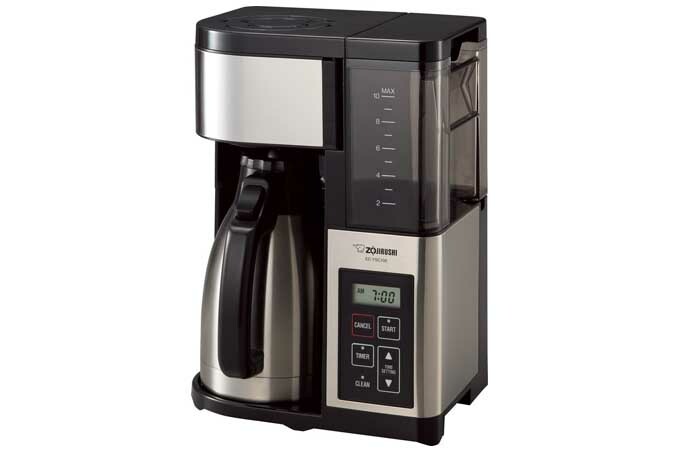 Are you trying to find the perfect coffee maker to brew the best cup of joe possible? Take a look at our 11 recommendations to find a match made for you. 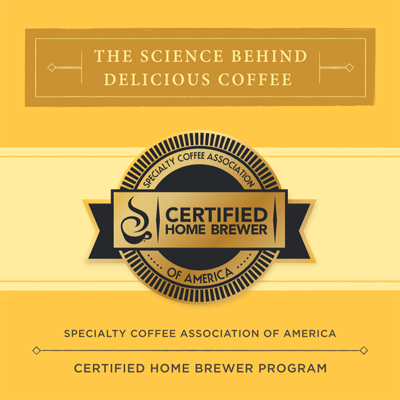 Many of the recommendations in our list are also graced by the Specialty Coffee Association of America’s Gold Cup Brewer Certification. Find out why this may (or may not) be important to you now. 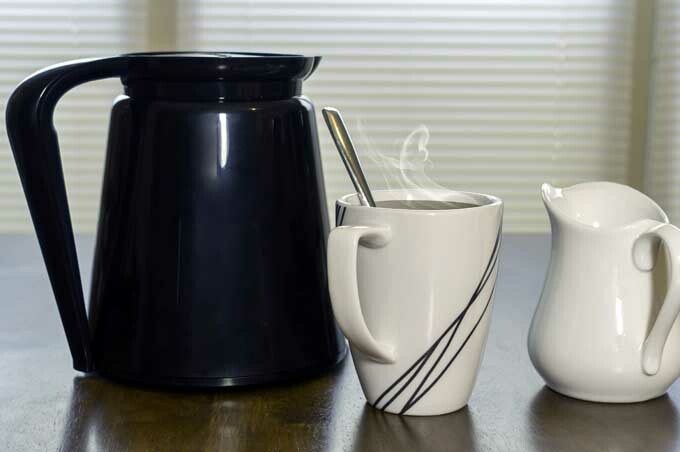 Confused about the benefits of a thermal carafe versus that of a conventional glass pot? Find all of the answers here. With our advice, you’ll keep your coffee hotter and fresher for a much longer period of time. Read more on Foodal now. 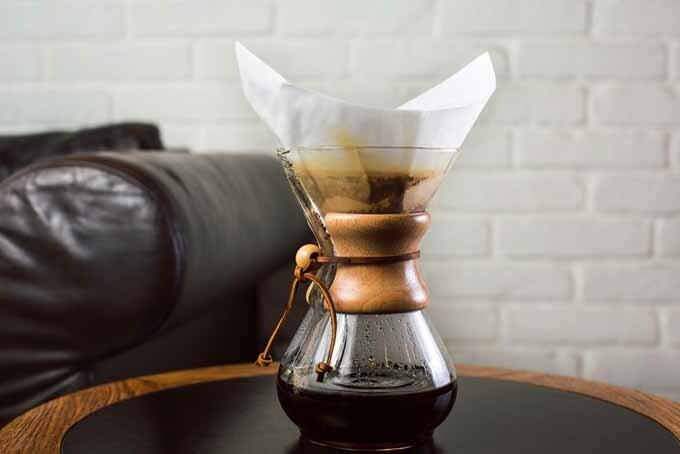 The Chemex Coffee maker is an elegant, one-piece, hourglass-shaped vessel made of high quality glass, and brewing great-tasting coffee without all those undesired extra flavors. It’s simple in appearance, but brews one of the best cups possible! 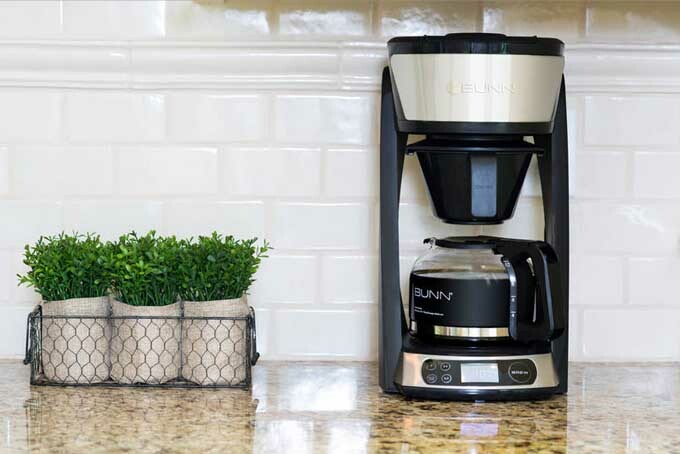 Bunn coffee makers have long been an icon in American eateries, and the same dedication to an exceptional cup of coffee is evident in the Programmable HB Coffee Brewer. With advanced technology in a low-frills package, it delivers full, aromatic flavor from a dripless carafe in about 10 minutes. Join us now for a full review of all the features! The Zojirushi Fresh Brew Plus creates a smooth-tasting cup of coffee that will stay fresh for two hours after brewing. Thanks to the top-notch thermal properties of the insulated stainless-steel carafe, your second and third cup will taste as good as your first! Find out more right here. 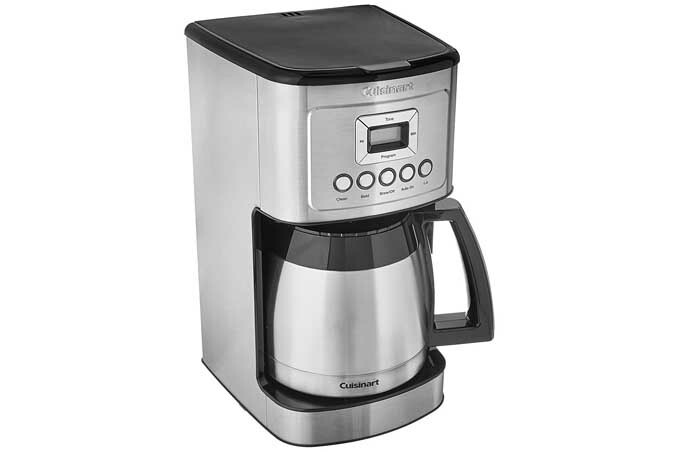 A great choice for those seeking a thermal carafe based brewer without a lot of complicated settings, the Cuisinart DCC-3400 features a double walled stainless steel carafe capable of keeping your brew hot for up to four hours! Find out more about this model now. Looking for the simplest model that can make a great cup of Joe? Don’t want or need a bunch of foo foo adjustments or the ability to micromanage every bit of the brewing process? 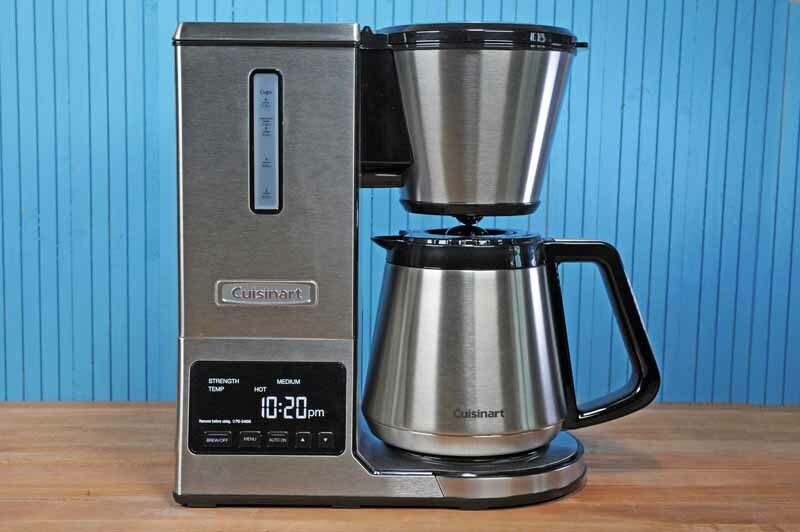 See why we chose the Cuisinart DCC-3200 as Foodal’s top pick for most people now! Handcrafted in the Netherlands, the Technivorm Moccamaster is easily at the top of the pile when it comes to picking the world’s best automatic drip coffee maker. If you’re looking to invest in a simple, easy to use machine that will brew you a tasty cup of coffee for years to come, these exquisite machines may just for you. It’s the ultimate bottom line for those who are on the hunt for a brewer offering both affordability and advanced control. Coffee lovers, search no more! We’ve got just the brewer for you in this carefully crafted review, lovingly written by a fellow coffee enthusiast. Are you seeking a manual pour-over taste with the convenience of automatic drip? 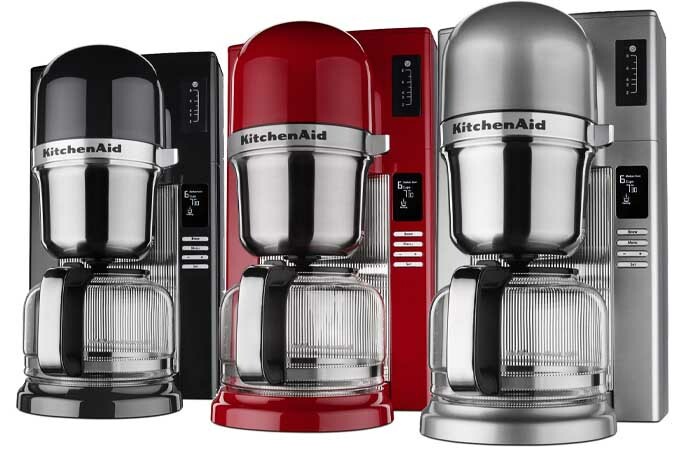 Check out this offering from KitchenAid. The dispersion head spreads 200°F water exactly where it needs to be over the grounds, with pre-infusion to allow the coffee grounds to bloom properly. And unlike most comparable models, it’s available in 3 great colors. Read more of this review now on Foodal.